At least one woman was shot and killed at a Tennessee church on Sunday where several others were wounded, police said. Authorities said six people other people were shot at Burnette ChapelChurch of Christ in Antioch just after 11 a.m. The woman killed has been idenitified as 39-year-old Melanie Smith. “This is a mass casualty situation. All of the wounded have been transported to area hospitals. The majority are older adults," the Nashville Fire Department wrote on Twitter. 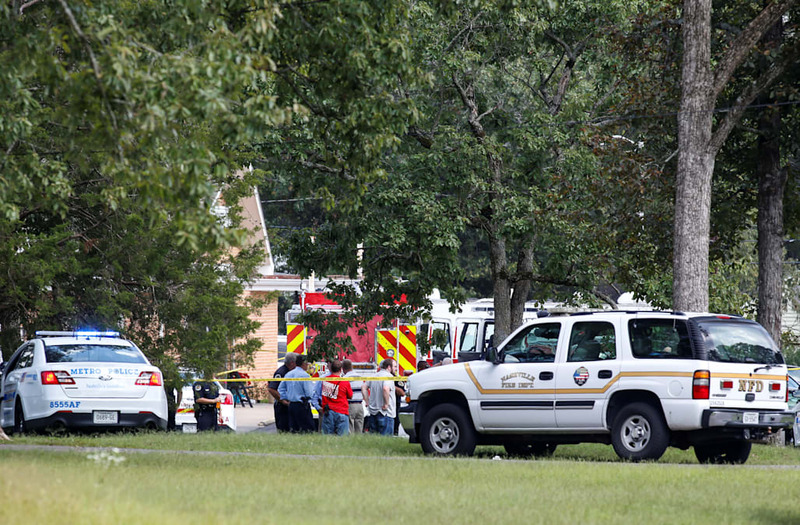 The gunman arrived at the church's parking lot as a prayer service was letting out, according to Don Aaron, a spokesman for the police department. The shooter, who police identified as Emanuel Kidega Samson, 25, allegedly shot and killed a woman in the parking lot before entering the church through the back and firing multiple rounds at people in the building, Aaron said. News5 reported that the gunman was wearing a clown mask before he opened fire. A church usher "ran up and confronted" Samson and during the struggle, the gunman accidentally shot himself in the chest, police said. "It is our belief that the gunman's condition is not life-threatening," Aaron said. "After the gunman suffered the self-inflicted wound. The usher got his gun and made sure that the gunman didn't make any movements until the police arrived. This was an exceptionally brave individual." Samson was taken into custody and is being treated at a local hospital under guard, police said. He is expected to be charged with murder. The extent of the victims' injuries is unclear, but everyone except for one victim was over the age of 60, Fox News reported. The church has a weekly service starting at 10 a.m. Sunday. The area around the church was shut down as police said they continue investigate. A motive for the shooting was not immediately clear.